1422-61. 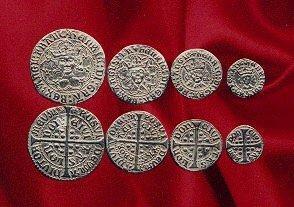 Left to right: Groat, Halfgroat, Penny, Halfpenny. The latin on the reverse "Civitas London" means "Made in London".